Christine I have to say a big thank you and God love you. I love you, I owe you a big hug. I found a bag of her garlic hanging on the barn boor handle yesterday morning. restores my faith in our gardeners. 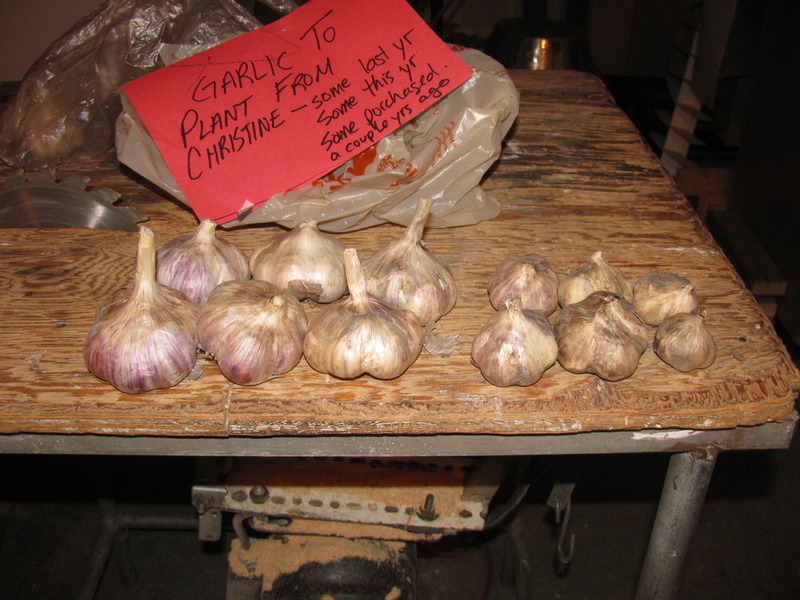 garlic and you took the garlic from the blue plastic bin like most others did. 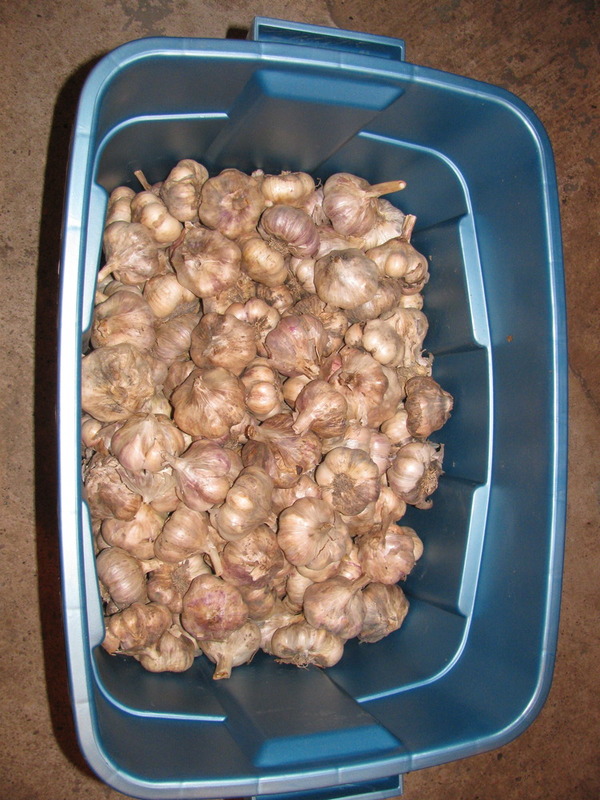 stock, so that in the future all the garlic will grow up to that size. 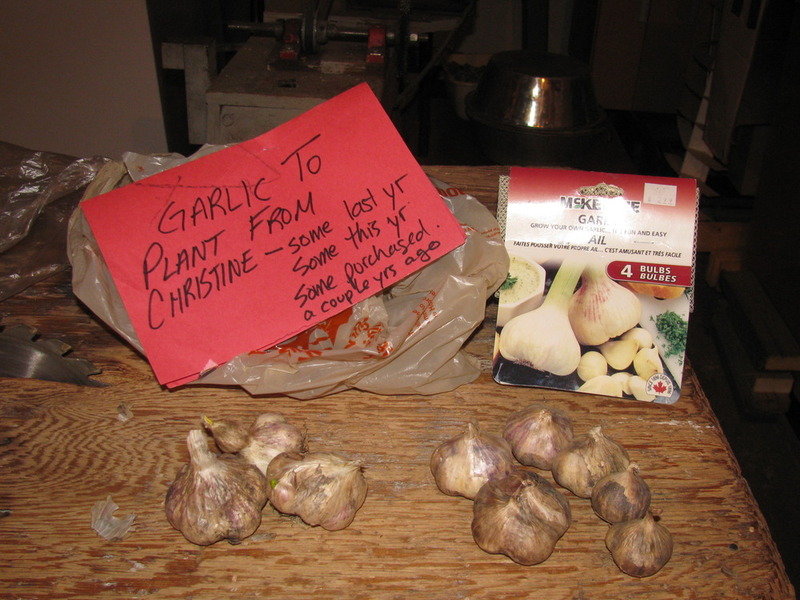 and across a desk to get to the box of seed garlic. exposed to the light of day! !